Fishing is known to be one of the most dangerous jobs around, and on the penultimate day of our 2018 programme, we saw this with our own eyes. It was a beautiful day. Force 4 from the South as ‘Alcuin’ set sail from the Isle of Colonsay, riding the tide through the Sound of Islay in perfect late summer sunshine. 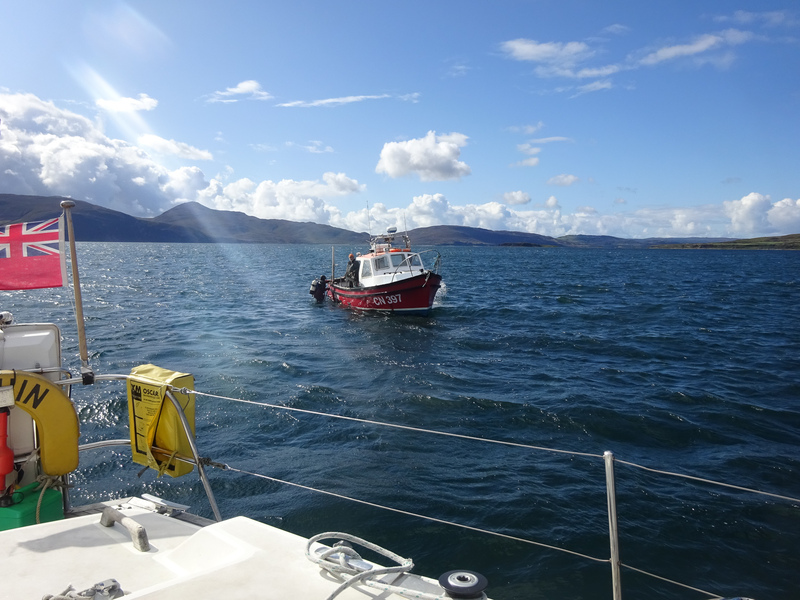 You have to time the tide right here as it races at 5 knots in the narrow gap between Islay and Jura. 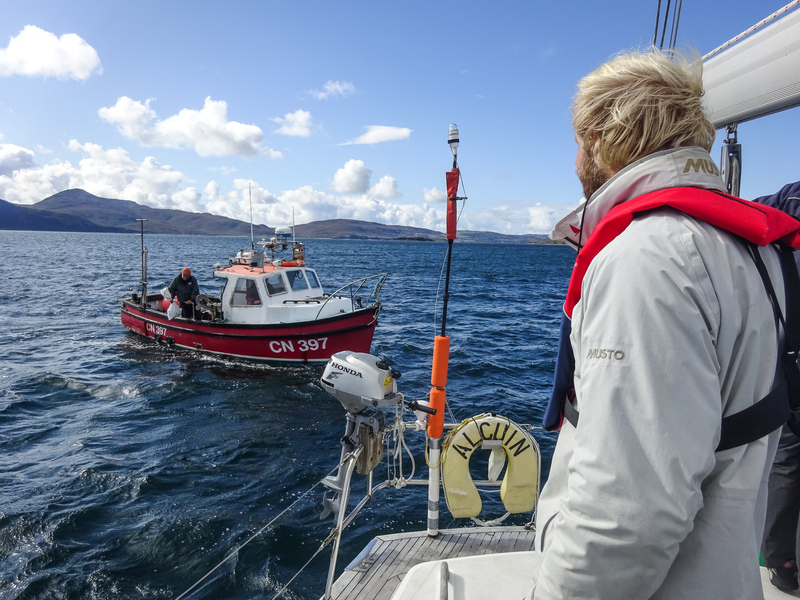 Rounding the southern end of Jura, about half a mile offshore, we heard shouting. Log eerie cries with a definite sense of urgency. Immediately eyes scanned the water, no other boat nearby. “Diver!” He was about 150 yards off our port side, a small head in the water wearing a mask and a black wetsuit, quite hard to pick out amongst the small waves. He waived frantically as we caught his eye. It’s very hard to gauge timescales in an emergency situation. Things seem to take forever and happen in a split second at the same time. My first thought was that he was trying to attract our attention to other divers in the water ahead. We had just put in a reef and were sailing flat out at about 8 knots in a strengthening breeze, so a collision could be fatal. Then I clocked that there was no dive boat nearby. Either way I had to stop the yacht. Fast. The crew sprang into action for an emergency stop. Hard to port, leave the sails sheeted. The bow rose to the waves as the yacht swung through the wind and then settled as she hove-to, sails acting like giant air brakes. We train for this manoeuvre in case of a man overboard situation, but thankfully have never had to use it in anger. It was good to see everyone acting instinctively as a team. 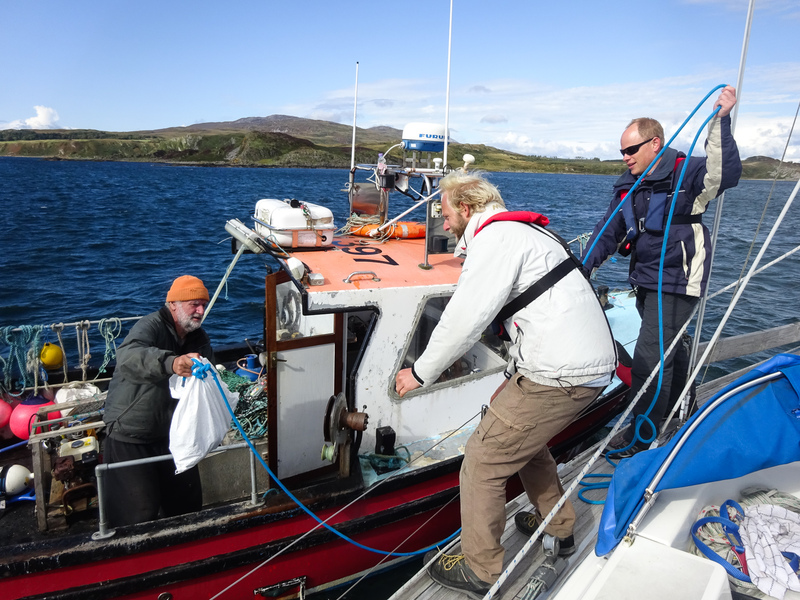 Check for ropes in the water, engine on, furling winches spinning as the sails were hauled in. We approached the man in the water under power and ascertained that, thankfully, he did not seem to be in immediate danger. He was holding onto a rope with a small float on one end, and something clearly quite heavy underwater on the other. He was diving for scallops! He declined our offer to bring him aboard but asked if we could stay with him, and could we see a small red boat and alert its attention? He had been swept out to sea by the very strong tides in the Sound of Islay and his mate on the small red boat was circling half a mile away, looking for him, but in the wrong place! Our sudden change of course alerted his mate before we had a chance to call on the VHF radio and the small boat headed our way. We stayed with the diver until it arrived and he was hauled up the ladder much to everyone’s relief. 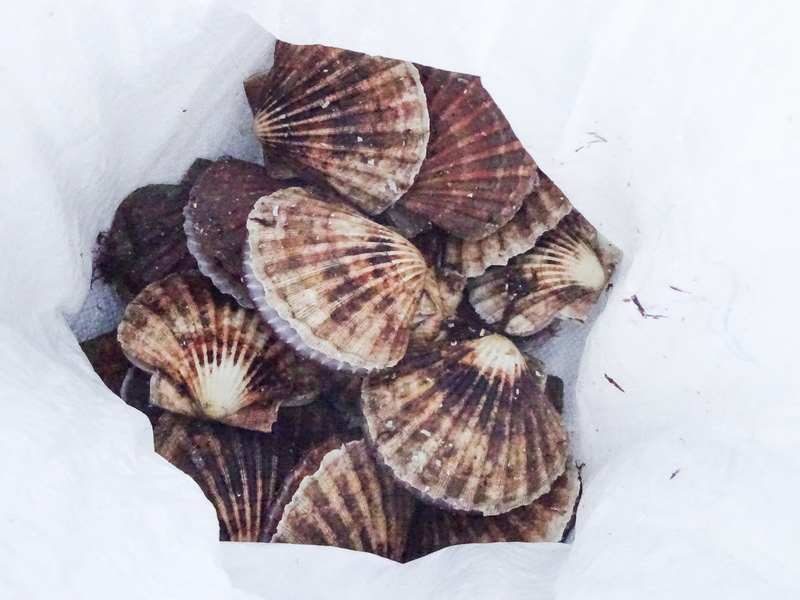 The mate signalled for us to stay where we were and he disappeared below deck, to emerge a moment later with half a sack of scallops. 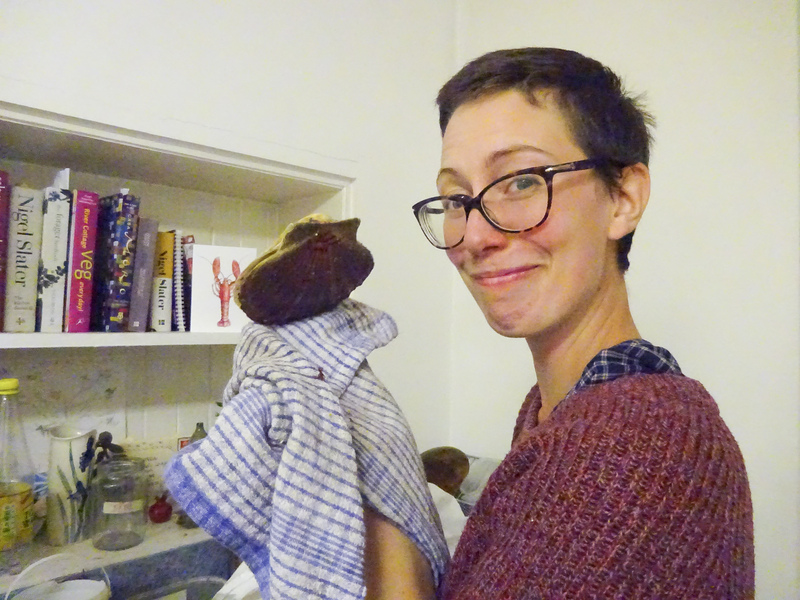 We threw him a rope and the precious sack was hauled aboard. It was a token of gratitude from fishermen who risk their lives to sustainably harvest scallops by hand from the sea bed. Without further ado, they headed home for Craighouse and we hoisted our sails for Loch Sween. 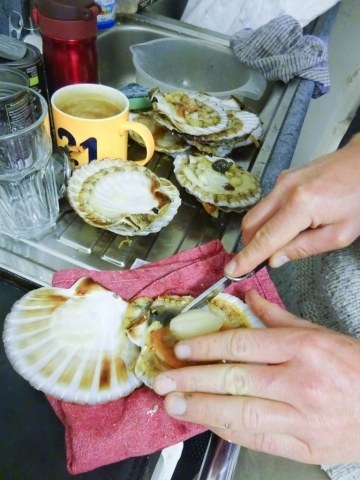 What were we going to do with so many scallops!? A luxury we could not normally afford! Well, surprise Ben, of course! 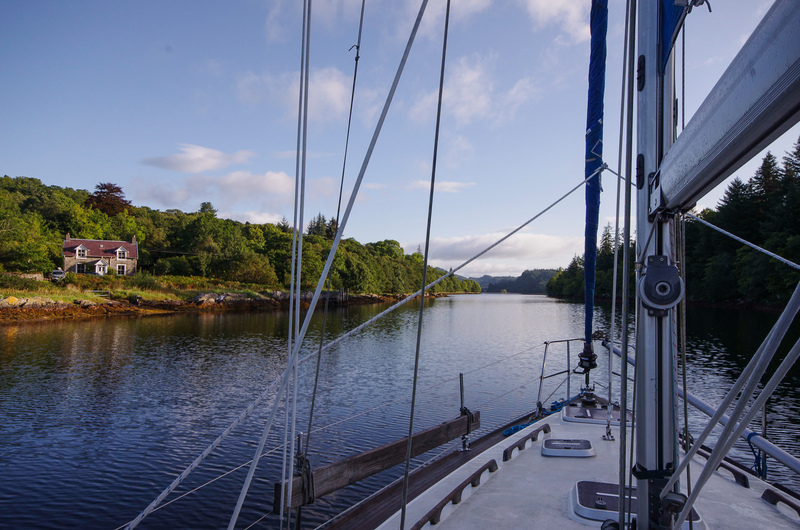 Traditional boatbuilder Ben Wilde and his wife Hana live in a beautiful cottage beside loch Sween near Tayviallich, only a few hours sailing away. 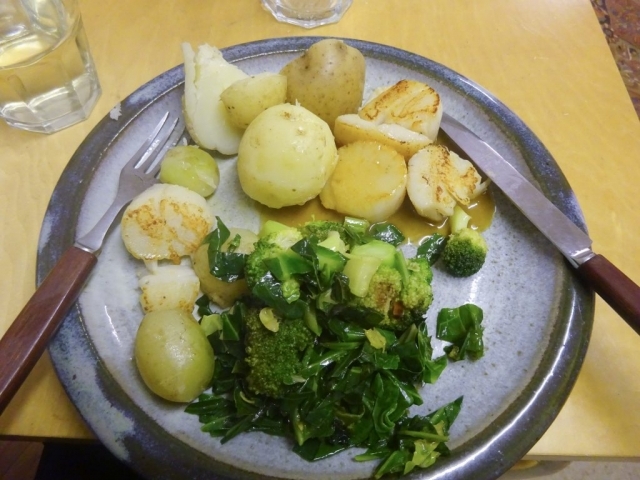 He had been First Mate onboard ‘Alcuin’ earlier in the summer and this seemed like an excellent plan! 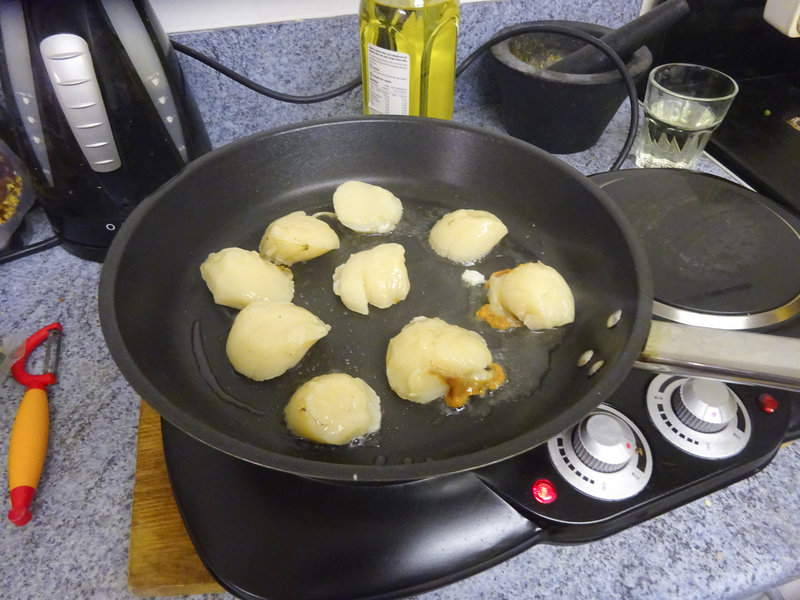 Potatoes were being peeled and recipe books consulted as the anchor descended into the dark water. 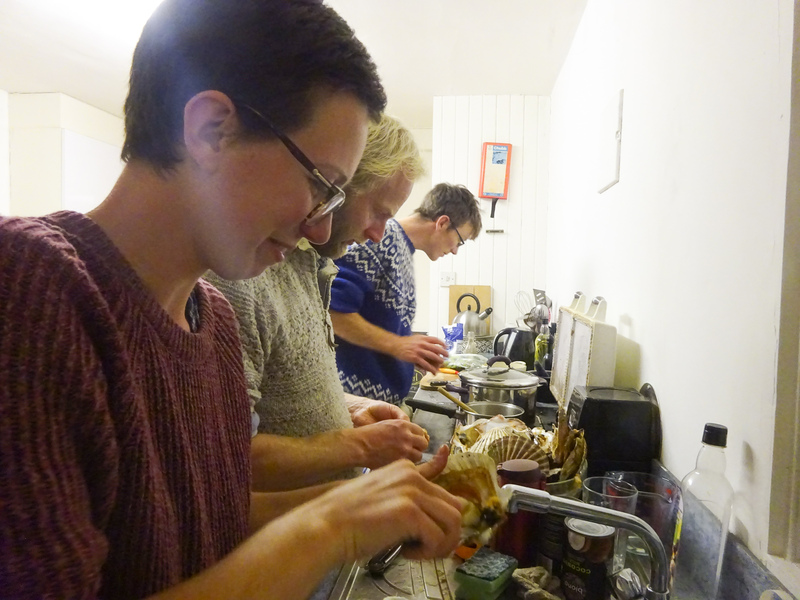 Our dramatic day at sea had ended happily and with a memorable supper too! My thanks to First Mate Colin Palmer and Expedition leader Emma Harry for being such professional crew.